Follow this link or click on the image below to see the video! Wardini Books - Havelock North! Popped in & met the lovely, friendly team at Wardini Books this week. Such a gorgeous store!! Can´t wait to go back again to buy more books!! Check out their Facebook post here. 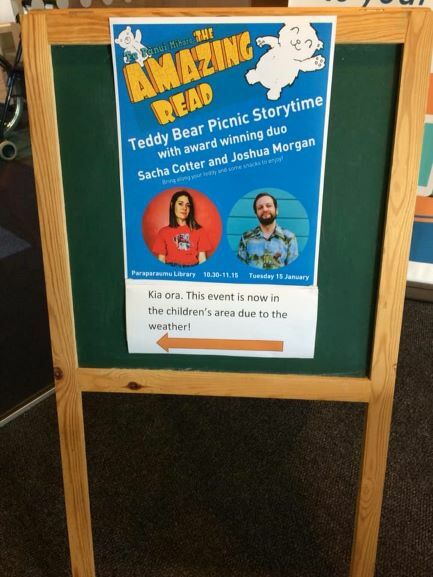 Had heaps of fun at Kāpiti Coast District Libraries (Paraparaumu Library) performing for their Teddy Bears’ Picnic this morning! Not great weather, but…..great turn out! Great bunch of kids! Great teddies!!! Looking for NZ-made gifts you can buy online for under $100? Check out these suggestions from Stuff!! We're number 43 on the list and we are delighted to be included! 😁 Click here to read. Leonie Hayden from The SpinOff has curated a wonderful Kirihimete gift guide so that you can support Māori businesses and makers this Christmas!! 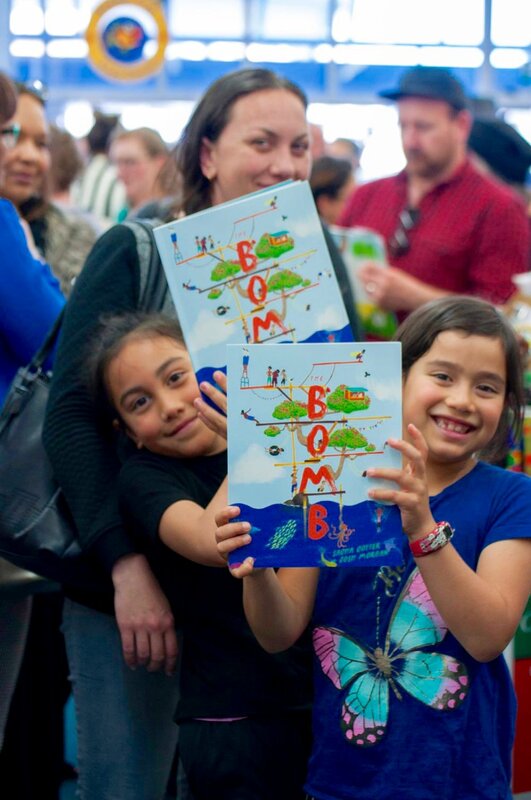 The list includes an excellent range of Huia books, including The Bomb & Te Pohū!! 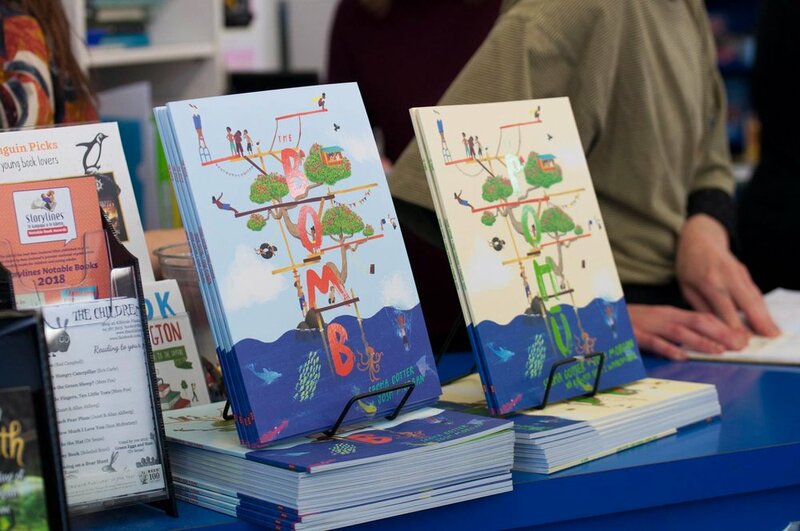 Thank you so very much to those of you who came and celebrated the launch of our books on Saturday with us!! We had a GREAT time and it was so lovely having you there!! And to our family and friends who would have loved to have come, but couldn't make it - we had you in our hearts!! Big thanks again to Ruth and the fab team at The Children's Bookshop and to the entire team at Huia Publishers - you guys are amazing!! The fabulous folk at LitCrawl Wellington were kind enough to do an interview with us about our new books! You can find it by following this link or clicking on the image below. The main LitCrawl 2018 events are happening tomorrow evening and they look AMAZING!!! We´ll be heading there to join in on the fun straight after our book launch. Be sure to check it out too!! Pre-order your copy from Huia Publishers!! Books should be hitting the shelves in October - woo hoo!!! 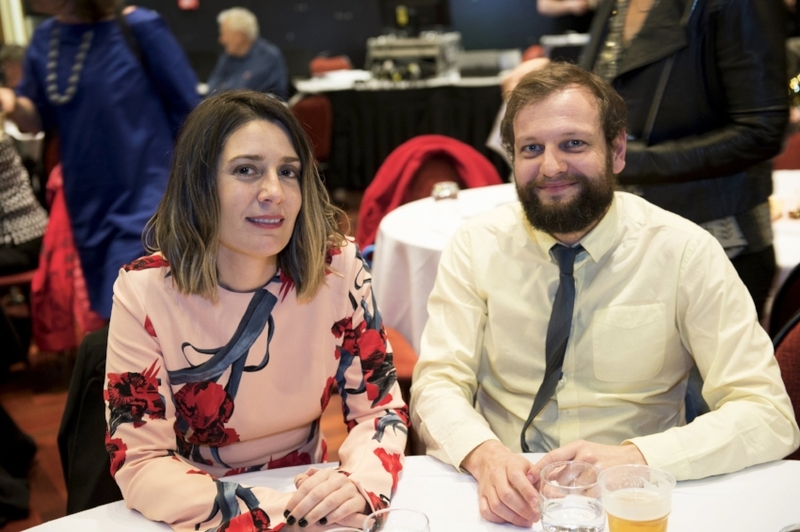 Josh and I were very lucky to be invited on the Storylines Tour of Taranaki this year! 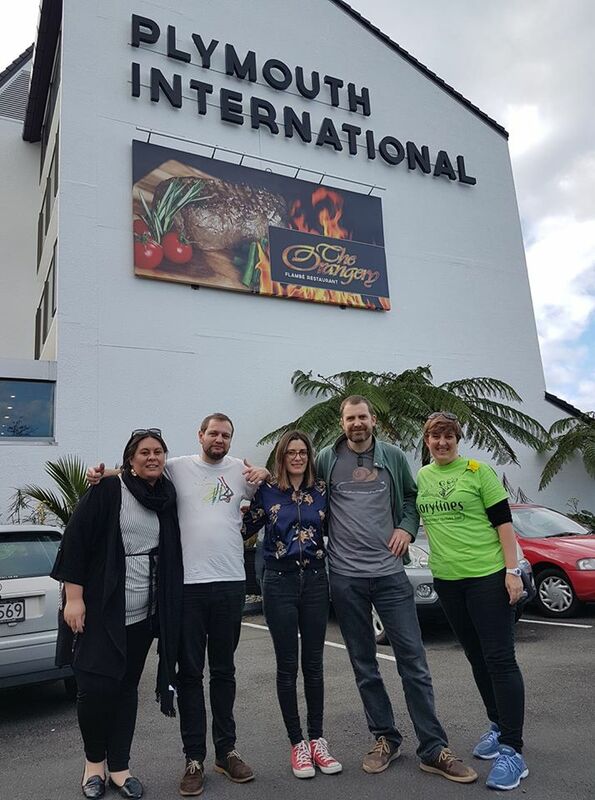 We joined authors Tom E Moffatt and Ripeka Takotowai Goddard and visited 40 schools in one week with the help of our wonderful Storylines driver and tour leader, Anne Dickson. Storylines are a charitable trust who promote the importance of reading and books to children and young adults. 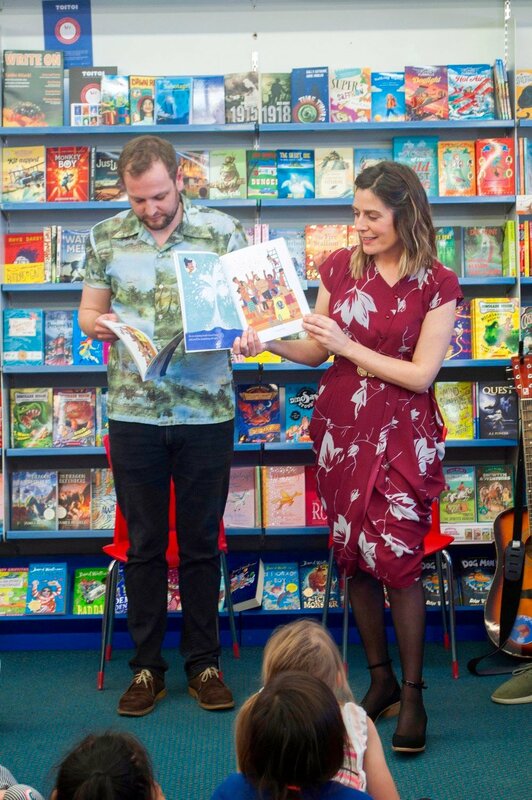 They run Storylines Tours across New Zealand bringing authors and illustrators to schools, early childhood centres, community groups and libraries so that young people can be inspired and learn about writing, illustrating and creating books. 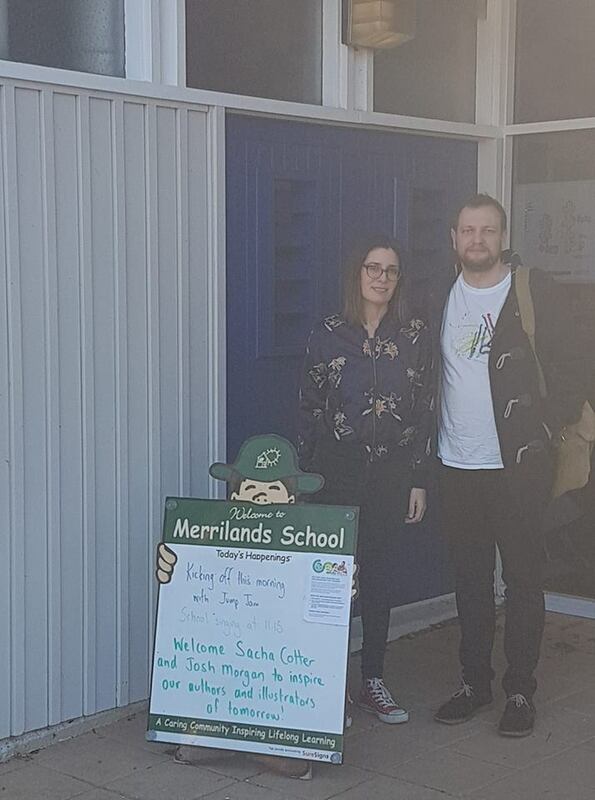 Josh and I had an unforgettable time and loved every minute of meeting the fabulous children, teachers, family members and librarians of Taranaki! Thanks again Storylines and thanks for the amazing and inspiring company Tom E, Ripeka Takotowai and Anne!! Below are a few photos from our trip. You can find more photos, info and links on our Facebook page Cotter & Morgan Books. Josh and I were very excited to be part of the Wellington based Beyond the Page NZ Festival during the July school holidays this year!! The festival was jam packed with LOADS of super FUN family events where kids were able to engage with stories in lots of exciting ways. We visited four libraries and had a great time reading our books, dressing up, doing craft activities and even singing!! Here’s a couple of photos from our events. 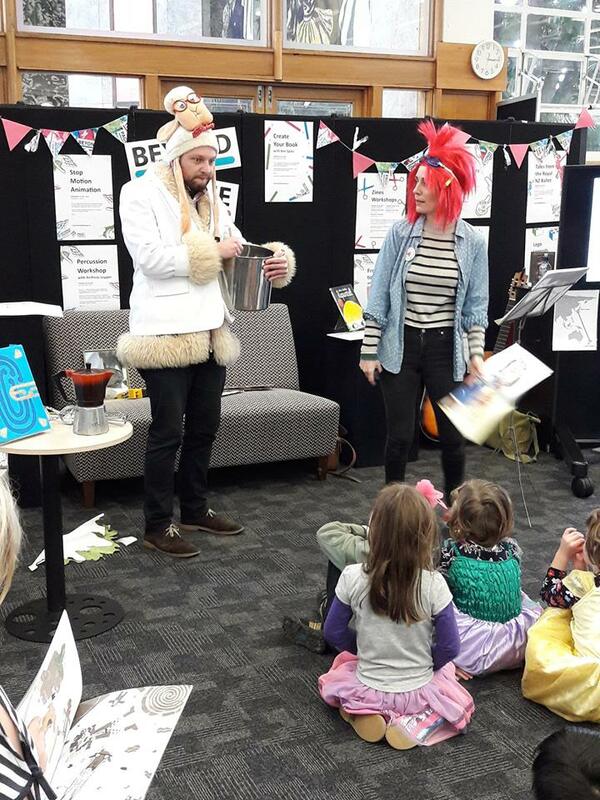 Come on down to the National Library of New Zealand this Saturday at 10.30 am to see none-other than…The Magnificent Marble Maker, her opera-baaing lab assistant Winston the sheep and…the not-to-be-missed special guest Mad Professor Teepa, in a bilingual extravaganza of The Marble Maker / Te Kaihanga Māpere! In this Writers & Readers Festival event, spend a morning taking part in craft activities with the fabulous Fifi Colston Creative AND enjoy listening to a range of picture book readings in English, te reo Māori, German, French, Swedish and Japanese from Huia Publishers, Gecko Press and The Sapling! 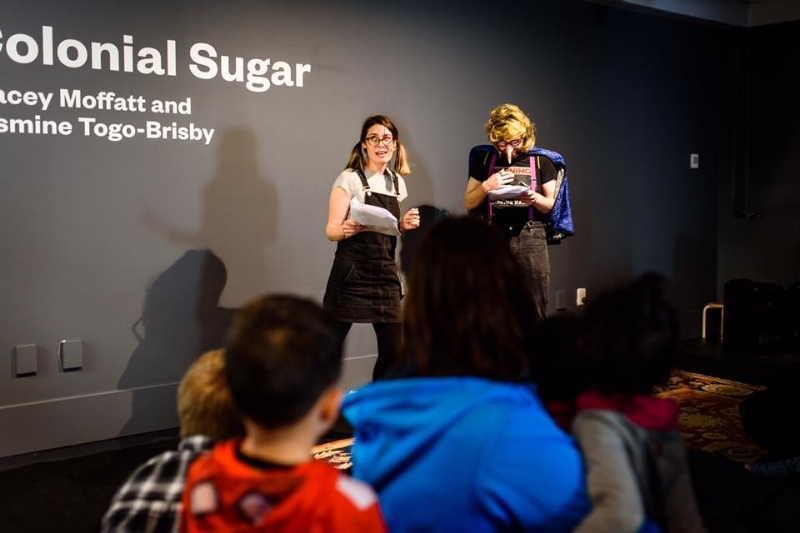 Along with several other writers, I was asked to write a fairy tale in response to the Occulture exhibition at the Wellington City Gallery for their Family Day. I managed to rope illustrator Josh Morgan into performing Rose & The Stink Master with me. 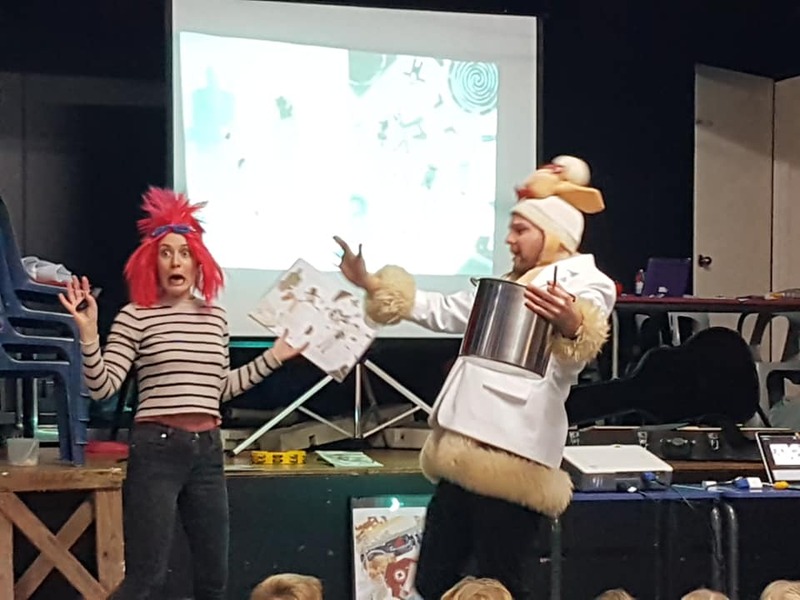 He did a great job of being both the stinky sorcerer AND the fairy moth mother - on top of creating some awesome illustrations for the kids to colour and add their own flavour to. SO MUCH FUN!! The Children's Bookshop's 25th Birthday! 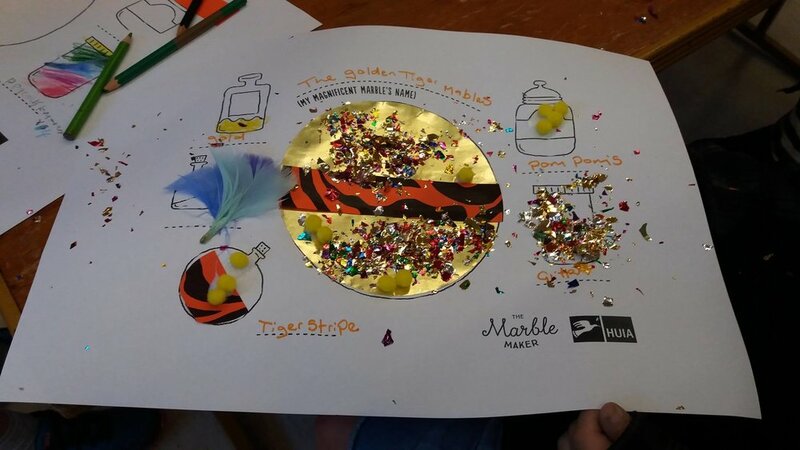 We had heaps of fun reading ´The Marble Maker´ & ´Keys´ to a very cool bunch of kids as part of the celebrations for The Children's Bookshop´s 25th birthday!! Thanks & well done to Ruth, the bookshop team and the other fabulous writers and illustrators who came to share their work. And of course, a big thanks to all of you who came along!! For more photos follow this link.